Due to the popularity of the AR15 rifle accessories there are a significant amount of sighting accessories available which will increase the accuracy of your AR15 rifle. When purchasing new sighting equipment there are a number of things that have to be considered first. What you will be doing with your rifle, whether that is target practice, hunting or home defense. Next, how much money you are willing to spend. AR15 rifles can be pricey on their own, and you will have to budget your money carefully. Thanks to the popularity of the rifle there is a very wide market for the firearm, therefore you should have no trouble finding parts to which to fit your budget. The standard AR15 rifle comes with standard Iron sights, but due to the popularity of the rifle there are a number of aftermarket iron sights that can be purchased. 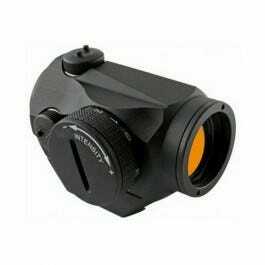 Reflector sights can be purchased and fitted to the gun with the help of accessories. Many of which are available through firearms dealers and gun websites. One of the most common first upgrades you can do to the AR15 rifle is the red dot sight. The red dot sight is a non-magnifying reflex sight which generates a dot style illuminated reticle that stays in alignment with the weapon the sight is attached to regardless of eye position. They are very easy to purchase and are very easy to use and maintain and have applications raging from hunting to military to target shooting.